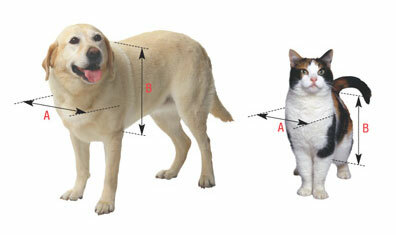 78" fits openings from 76 3/4" - 78 1/2"
78" Medium 6 5/8" x 11 1/4" 78VIP150M 13 - 35 Lbs. 78" Extra Large 10 1/4" x 15 3/4" 78VIP150XL 36 - 90 Lbs. 94" Medium 6 5/8" x 11 1/4" 94VIP150M 13 - 35 Lbs. 94" Extra Large 10 1/4" x 15 3/4" 94VIP150XL 36 - 90 Lbs. 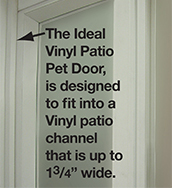 Click the button below to add the VIP Vinyl Insulated Pet Patio Doors to your wish list.